2016 first place winners performing on Main Stage. Top prizes of $200 for first place, Old-Time and Contemporary! 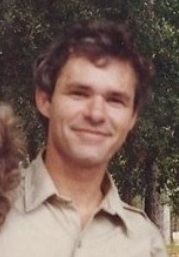 List of Fiddle Contest Winners from 1981 to present! Please note that the entry fee is per division. If entering Twin and another division, you must pay twice. If you register for camping it is first come, first served for site location. If you pre-register you will pick up your registration packet at the Welcome Center just outside the main gates of Stephen Foster State Park. Once inside the park, go to the campground gates to pick up your camping/vehicle pass. Then you can select your site. The early bird gets the better sites, and hookups are not guaranteed! 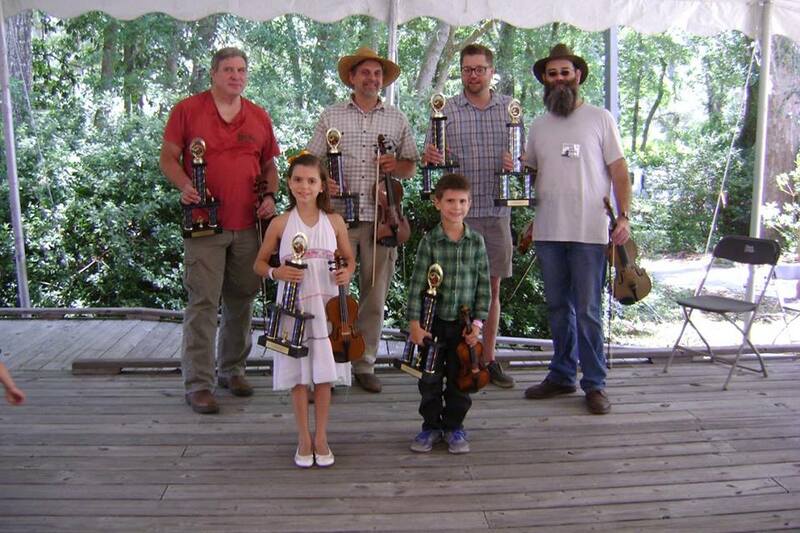 2016 winners in the Twin Fiddle division. Is there going to be a fiddle contest this year too? Or was it just 2016? 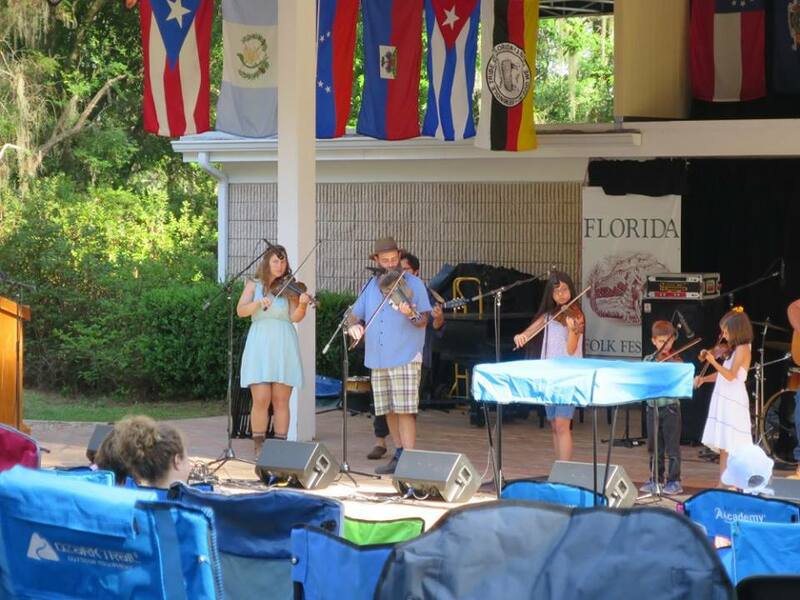 There is always a Fiddle Contest at the Florida Folk Festival, sponsored by FSFA. It is the Saturday of Memorial Day Weekend each year. See the link at the top of our website. Thank you! Are they accepting any more participants for the fiddle contest? I couldn’t find anywhere to sign up. Thank you so much! You’ve been very helpful! There is a contest every year. It is held during the Florida Folk Festival weekend, on the Saturday. Where and when do we need to arrive to sign up for the fiddle competition onsite? Heritage Stage (outside Auditorium building) at 10:00 for registration. There will be a sign-up table. Contest starts at 11:00. Good luck!